Top Quality Snowmelt Systems in Lincoln MA | Premier Pavers & Hardscape Co.
Snowmelt Systems: Play in the Snow Instead of Shoveling It! Let technology do the work. Say goodbye to shoveling! Snowmelt systems for interlocking concrete pavement surfaces are suitable for use on driveways, patios, walkways, and entryways. While they don’t completely dry the paver surface, they melt the snow to water, which then drains away. Snowmelt systems can be part of new construction or added later. Don’t break your back shoveling when a snowmelt system can do the work for you. Reduce the risk of slips and falls. Reduce driveway damage from the freeze-thaw cycle and the use of de-icing salts. Save your interior floors by tracking in less snow, mud, and salt. Make your patio useable even in winter. 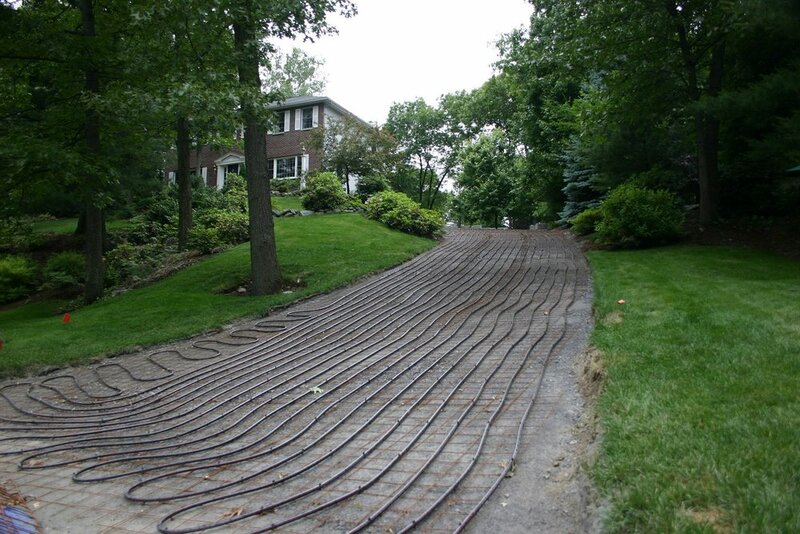 At Premier Pavers & Hardscape Co., we install two types of snowmelt systems—electric and liquid (hydronic) systems. Talk to our installers to see which option is best for you, and enjoy a stress-free winter!